Armageddon began the day Red Dead entered the solar system. Fear leads to blame, blame leads to choosing sides - and both sides have bombs. Civil War in America turned into a worldwide conflict, leaving the world in a new dark age. Nothing has stirred about in the ravaged mountains for two years. Abrahams's heart is broken save the fading hope of bringing his lost children home. He sets out without a destination searching for signs of life. What he finds is something infected. Love it! Well written & accurate narration voice! Well for starters just how many times do you have to call someone ebony skinned? Or mention her short shorts.... the freaks are cool. the idea is cool..but the characters...I didn't like them and didn't find them realistic. Also it has a weird sound quality, likw itbwas recorded in a small metal room. If it wasnt short I doubt I would've listened to it. To escape the stress of living in the city and the anxiety of his high pressure job, Brian Roy moves his family to the country. His wife loves the easy living, but Brian hates it...especially when weird things start happening in the house. 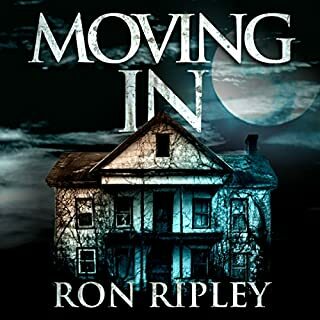 When he discovers a dead body in the woods and a burial ground in his basement, Brian could never imagine the shocking history of the house or its former occupants that comes to light. As his life starts to unravel, Brian isn't so sure living in the country is going to be the oasis of peace he and his wife expected. I read the kindle version before I listened to this and I'm glad I did. Its s great story. I especially liked protagonists that saw weird scary stuff...and didn't try to deny it or assume they were nuts right away. I would've liked more in depth history however, more about the boy and what happened to him. More even of the couple who Moved in. Its very fast paced. Hopefully we will get more in the sequels. Now for the audio book. I wasn't thrilled by the narration. He has a good voice and most of the characters sound alright with the exception of the psychic. I think she was meant to sound hippyish and new agey but she just sounded heavily medicated. The real problem though was the odd pauses and emphasis, it was annoying and non immersive. Still I listened to it. It wasn't one if those books where the narration makes it unbearable. Just distracting. All in all I liked it. 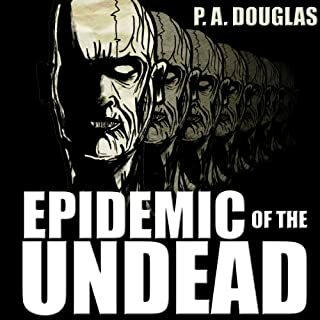 When the dead suddenly decide to not stay dead, this unexplained epidemic turns the world upside down overnight causing everything to come to a grinding halt. For Chris Commons and his folk band of friends, tour is definitely canceled. No more shows! Several States away from his family, Chris struggles to keep his sanity while hoping to make his way back home. After the sudden death and resurrection of his cousin and fellow band mate, Chris changes gears eager to simply just stay alive! Its not bad,a little silly in places and a little heavy on the romance considering the situation. Still I listened to the whole book. that's something since I bore easily. Its well read, narrator is good. Didn't care for the ending.